"Behind nut" refers to the base of the Head of the guitar where the Tuning Keys are. T means Thumb, I means Index Finger, M means Middle Finger. The 2nd Bar beginning with T and M are played at either the 2nd Fret and/or 3rd Fret depending on where you placed your Capo. You'll not need your plectrum for this as it requires to play in the style of Fingerpicking. Please mention me, Warren Woodhouse, with a link back to this guitar tab in your video descriptions for future reference and for others to find it as well. For further details or to contact me directly, please send all emails to warrenyt@googlegroups.com with the subject titled "Guitar Tabs". 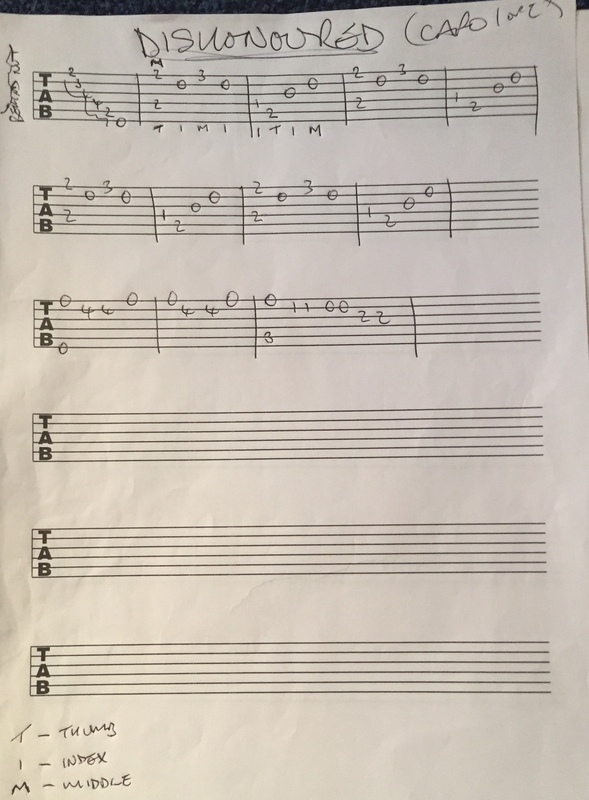 Tab written out by Phil Martin for Warren Woodhouse.